Quality, restful sleep and getting enough of it at the right times, is essential to your health and wellbeing. However, surveys conducted by the National Sleep Foundation reveal that 60 percent of American adults report having sleep problems a few nights a week or more. Join us for this webinar to assess your sleep patterns, learn about the connection between stress and sleep and learn about techniques that can improve your sleep habits. Sleep better and feel better! 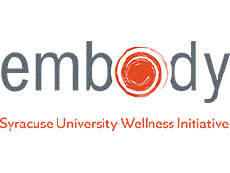 If you are not able to join the live webinar, visit http://wellness.syr.edu/carebridgewebinars after Feb. 15 to view the archived webinar. The Faculty and Staff Assistance Program provided by Carebridge is available 24/7/365 and can help you adjust to life’s challenges. Whether you need assistance identifying care for a child or an elder; need help with your finances; or desire assistance in coping with an emotion issues such as grief, stress or relationship conflicts, Carebridge can help. To access confidential services at any time, call Carebridge at 1.800.437.0911.